For one of the poorest countries in the world, opium is a source of jobs and wealth. It’s also the main ingredient in heroin, a highly addictive drug still illegal in most countries. The industry grew by 43 per cent last year alone – here’s how it became so huge, and why it's next to impossible to shut down. 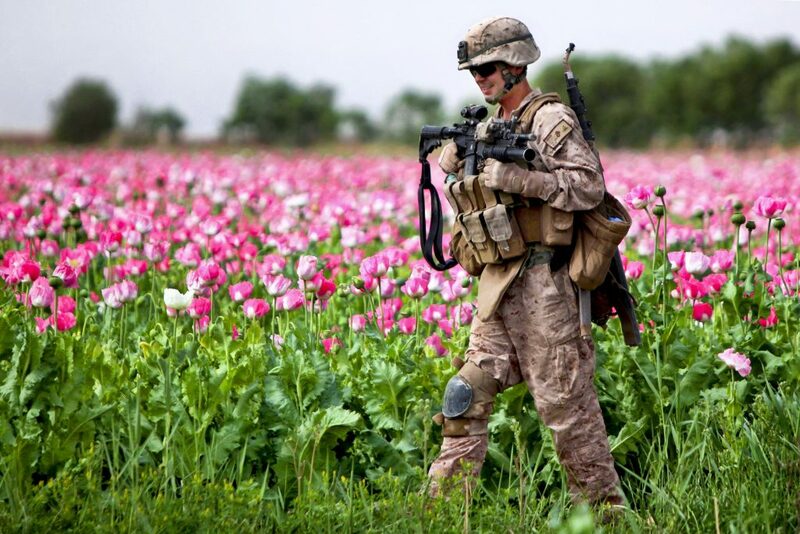 Afghanistan is the world's leading opium producer. Production went up by 43 percent last year. According to U.S. estimates from 2014, around 90 percent of heroin worldwide is believed to come from opium poppies grown in Afghanistan. Why has the opium industry become so strong in Afghanistan? “The illegal opium industry will always go to the less-governed places,” says William Byrd, a researcher and expert on the Afghan drug trade. Afghanistan is insecure after decades of fighting – and that’s exactly why it’s such an attractive place to grow opium. It’s also cheaper and easier than growing wheat, which was how many Afghans made a living before the opium industry took off in the 1980s. The constant and high demand for opium fuelled by drug users means farmers producing it have a relatively stable income – a rare thing in a country where work opportunities in the countryside are few and far between. All this has made it extremely difficult for the government to implement a lasting ban on the crop. 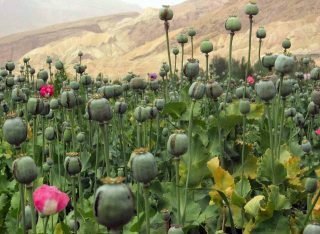 The Afghan government didn’t destroy nearly as many opium fields as usual this year – 90% fewer than in 2015 – allowing for the 43 per cent increase in production. Who profits from the opium trade? 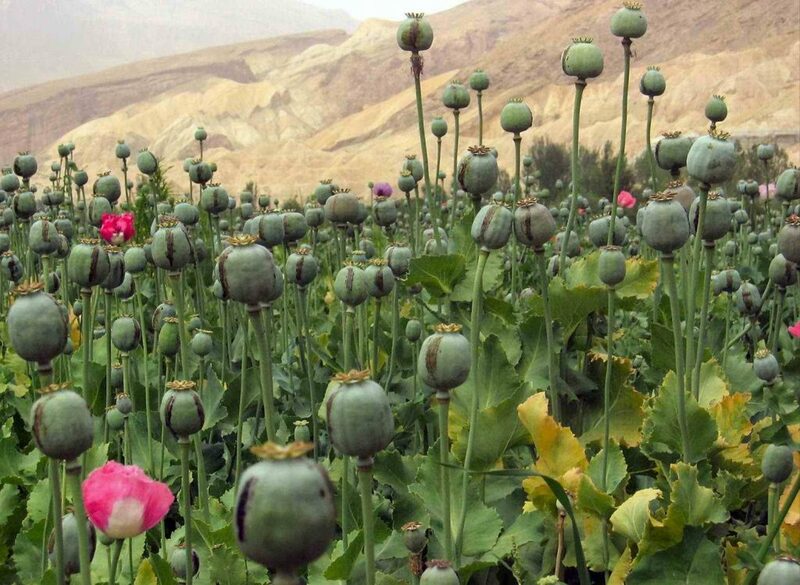 Opium production is worth about 1.5 billion dollars a year, making up 7% of Afghanistan’s economy. It's one of the country’s largest industries (as a comparison, it's about the same ratio of Afghanistan's economy as the construction sector is of the UK's). Around one third of that money goes to farmers, and the rest to traffickers who process opium into heroin and export it. The amount that goes to farmers themselves is worth only about 1% of the international value of heroin – most of the profits go to organized crime groups who move heroin around the world, and some to funding militant groups in Afghanistan. And what if Afghanistan did manage to enforce the ban? Shutting down opium poppy production would likely threaten the economic stability of Afghan farmers and traders (and by extension their families). That means they might turn against the state and instead support the Taliban (a militant group that has been challenging the government for decades and that controls some of the territory where opium is being produced). And the problem wouldn’t end in Afghanistan. As long as there is a criminal demand for heroin, there will be a criminal supply of opium, says Byrd. The fact that the trade is illegal makes prices and profits high and attractive to the people involved. Even if production in Afghanistan magically disappeared, other countries would surely pick up the industry relatively quickly given the billions of dollars at stake. “Blaming the producing countries for a problem that comes from the consuming countries is a problem,” says Byrd. Until heroin demand subsides, heroin supply isn’t likely to go away anytime soon – in Afghanistan, or anywhere else.